Combining short fiction with speculative history, this entertaining book invites readers to look at what "didn't" happen to gain a richer understanding of what did. What if Napoleon had become emperor of the United States? Could one faulty screw have altered America's atomic bomb policy? If Lincoln had been assassinated during the Gettysburg Address, would the Confederate States have remained a separate country? 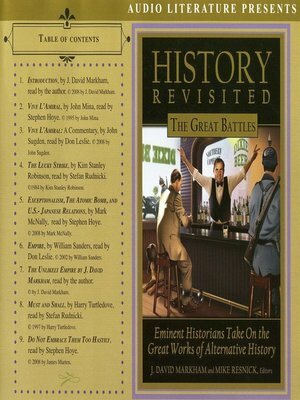 Commentary from leading historians following each story is as fascinating as the stories themselves.